According to The Hollywood Reporter, Momoa will play the role of Baba Voss, a "fearless warrior, leader and guardian" in Apple's sci-fi saga. Oscar-nominated screenwriter Steven Knight ("Peaky Blinders") penned the script and will serve as executive producer, while Francis Lawrence ("The Hunger Games: Catching Fire and Mockingjay Parts 1 & 2") will direct. "See" was spawned by Peter Chernin's Chernin Entertainment and Endeavor Content and purchased by Apple. Momoa, who played Dothraki tribe leader Khal Drogo in HBO's "Game of Thrones," is a veteran of both television and the big screen. 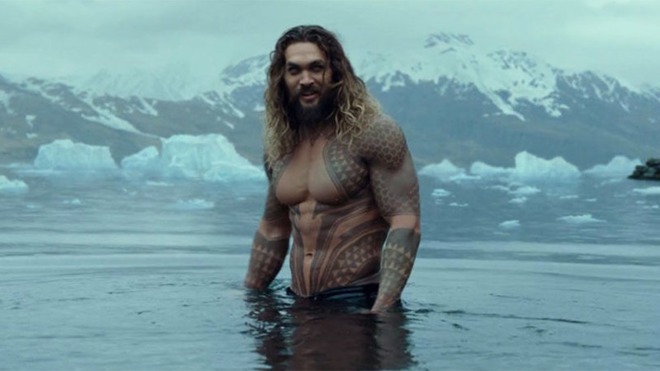 Notably, the actor assumed the role of Aquaman in DC Extended Universe, a character that debuted in 2016's "Batman v Superman: Dawn of Justice." Momoa reprised the role in last year's "Justice League" and will star in a solo "Aquaman" film slated to hit theaters in December. "See" is one of about two dozen original shows Apple has in the pipeline as part of its Worldwide Video effort. Led by former Sony Pictures Television executives Jamie Erlicht and Zack Van Amburg, the division is collecting a stockpile of properties that could see release as part of a new subscription bundle encompassing Apple Music, News and original video content.